Automatic and self-leveling, the Leica Rugby 320SG Single Grade Laser is used for many different applications that involve grade control, depth control, excavation and absolute compatibility with a wide range of machine controls. It has a grade capability of -5 to +25 percent in x or y-axis and is self-leveling within ±5 degrees. 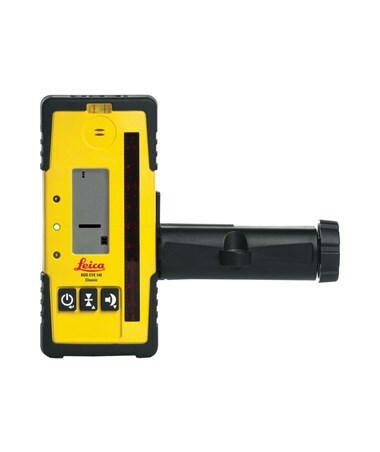 This grade laser offers an accuracy of ±1/16 inch at 100 feet with an operating range of 3,000 feet with a laser receiver. The Rugby 320SG features real-time grade matching to easily match existing slopes. Also, it comes with a direct-grade entry and beam masking features that electronically shuts the beam for multiple laser usage. 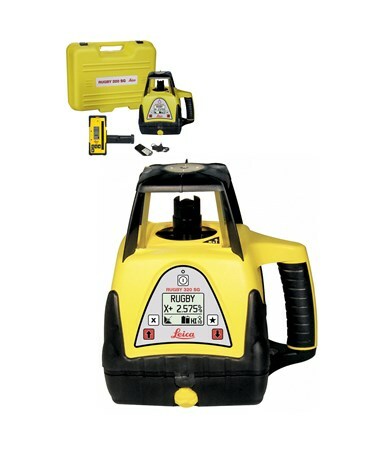 For precise operations, it offers four rotation speeds of 5, 10, 15, or 20 rotations per second. Plus, it comes with a Height-of-Instrument (H.I.) 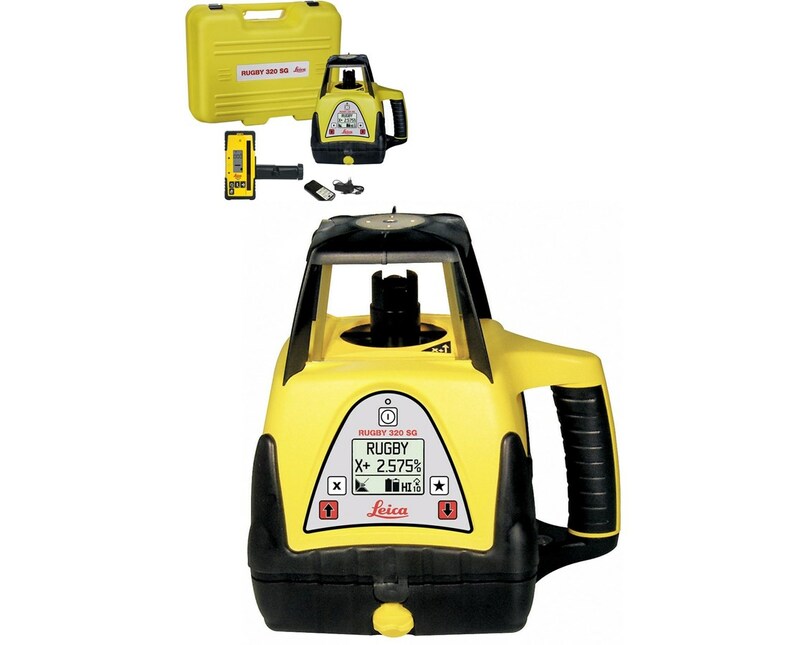 alert that monitors the height of laser to prevent elevation errors. With the five-button keypad, setting up foundation is easier. 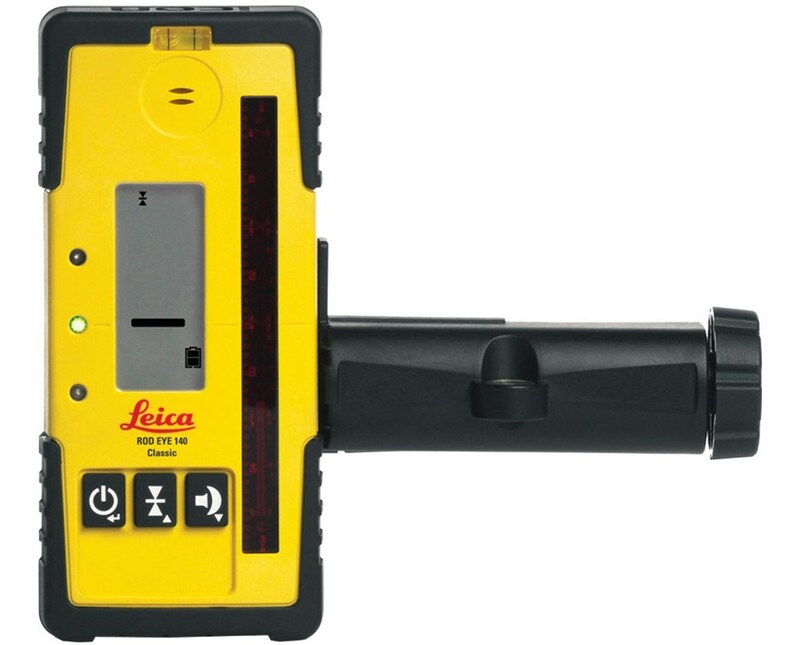 This laser level has an IPX7 rating which protects the unit from water. 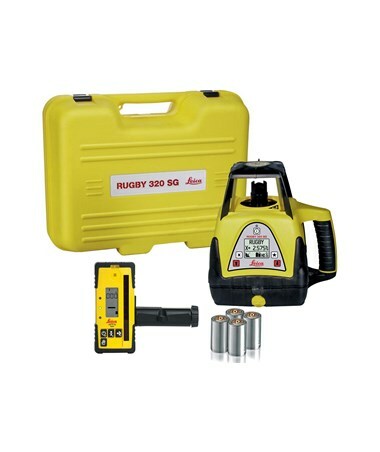 With the included rechargeable NiMH battery, the Rugby 320SG works up to 100 hours or 130 hours using alkaline batteries. In addition, it has a 635nm visible red laser that offers high performance for all day use. 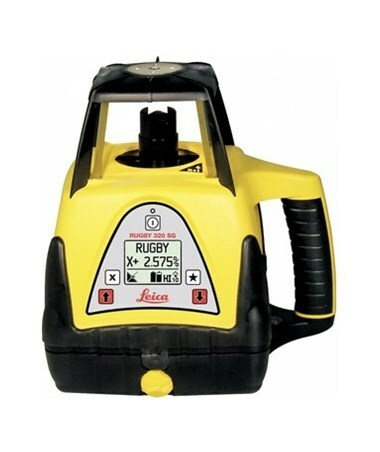 The Leica Rugby 320SG Single Grade Laser offers two laser detectors to choose from. Please select your preference from the radio-button menu above.